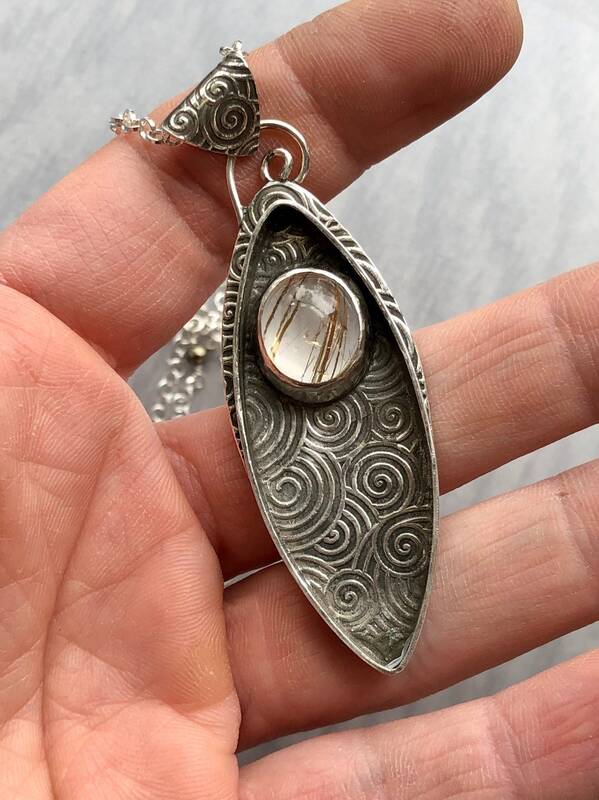 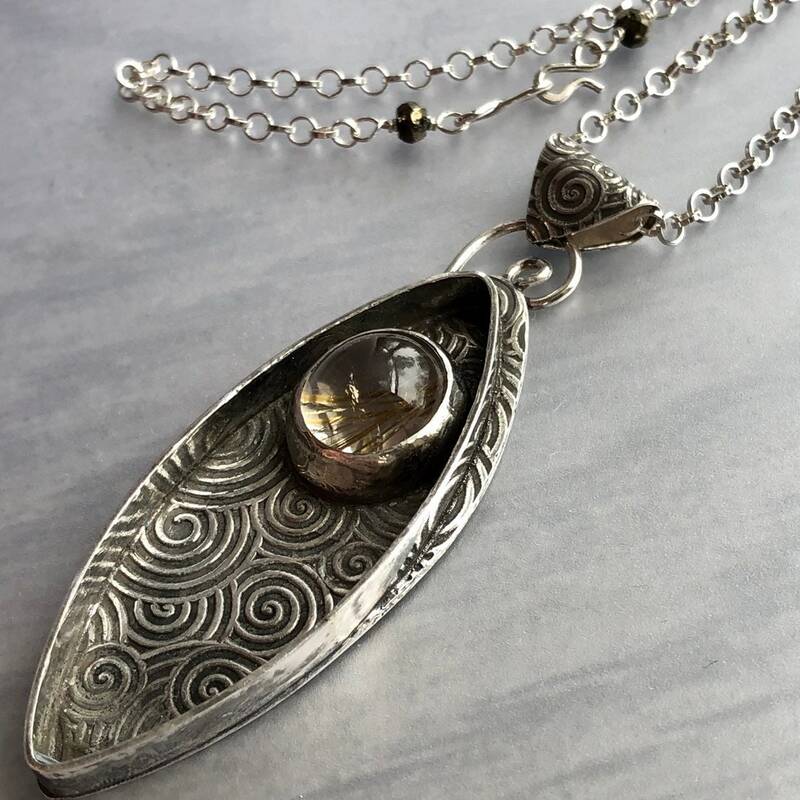 This marquise-shaped pendant features heavy silver, patterned with spirals, and a clear golden rutilated quartz stone. 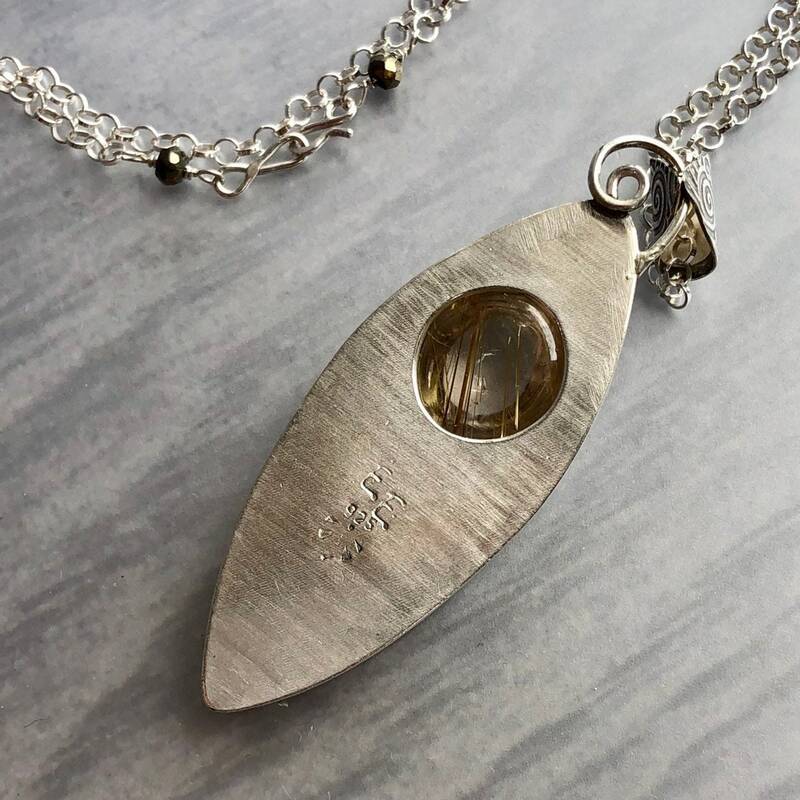 I’ve left a window behind the stone to allow light to pass through, highlighting the golden strands of the rutile. 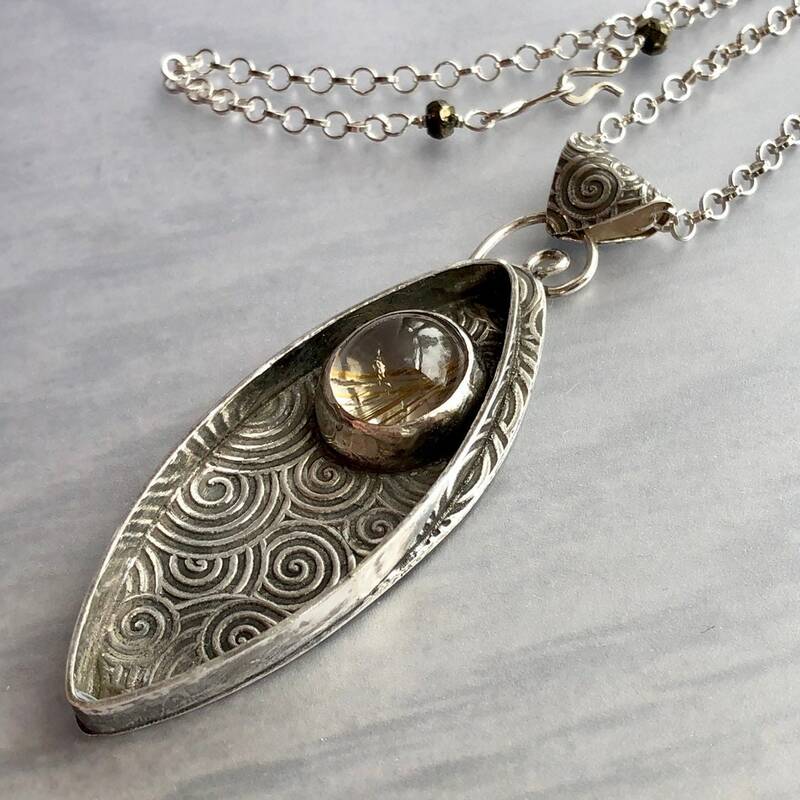 A high edge creates an open frame around the pendant, and the off-center stone directs the focus onto the deep spirals. 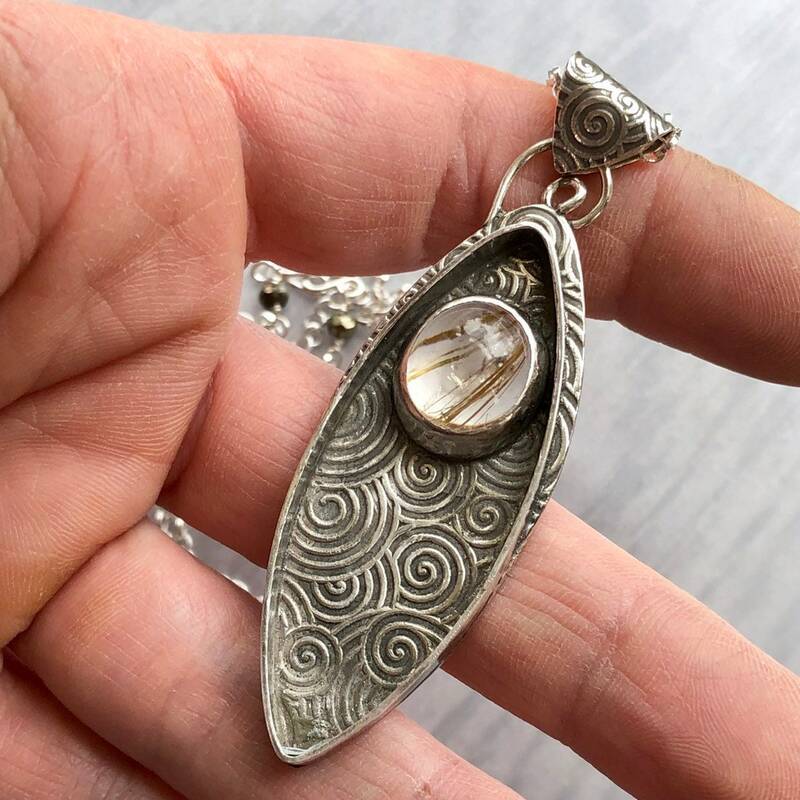 • This pendant is approximately 2 1/2” by 7/8”. 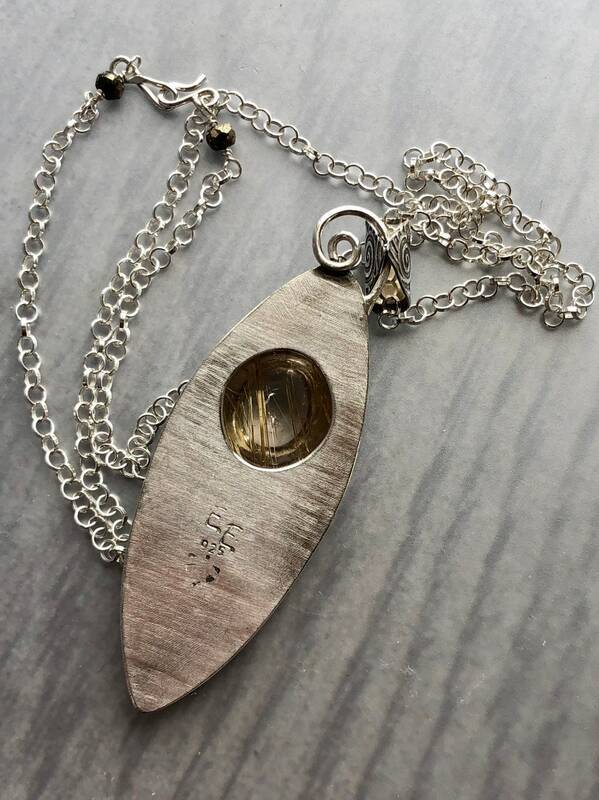 • The golden rutile is approximately 15mm x 13mm. 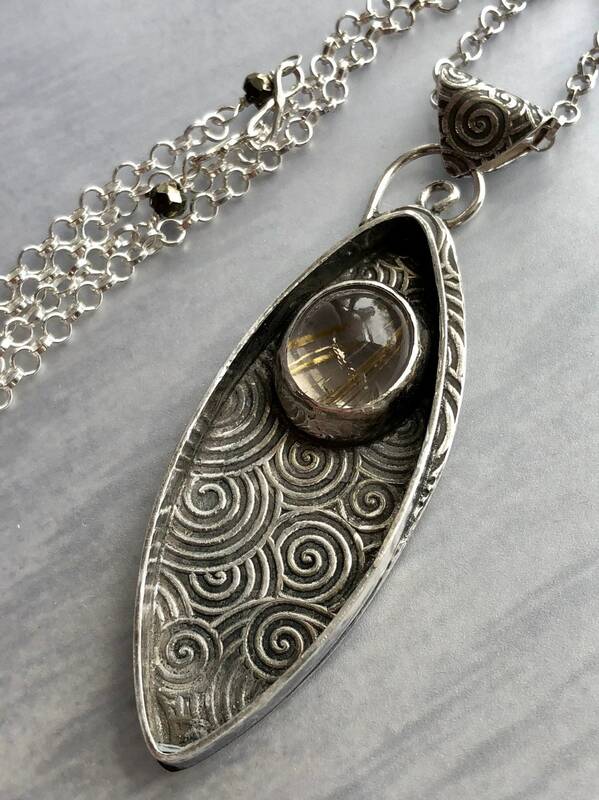 • Small pyrite rondelles connect the chain to the hand forged hook clasp.